On May 19, 2016, Junior League of Cedar Rapids hosts JLCR: Fostering Strength, Iowa’s largest foster care advocacy event. JLCR is honored to host Travis Lloyd as keynote speaker for our 2016 event. Travis Lloyd is a mental health professional, speaker, hiphop artist, foster care expert, and mentor. 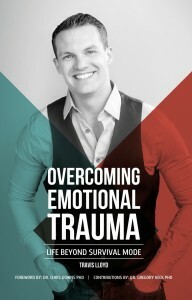 He is also the author of Overcoming Emotional Trauma. You can learn more about Mr. Lloyd on his website. Proceeds from the Fostering Strength fundraiser support Junior League of Cedar Rapids’ Bridging the G.A.P. project, which assists local foster care youth through a variety of activities. Click here for more information on Bridging the G.A.P. There are more than 900 youth in the foster care system in Linn County alone. Come learn more about how we can work together to make life better for those who otherwise might fall between the cracks. There will be a raffle to win several great prizes during the event. There’s still an opportunity to make a difference in the lives of local foster youth! Use the link below to support Junior League of Cedar Rapids’ Bridging the G.A.P. project. Bohr Dahm Greif & Associates, P.C.